What is the difference between the SHOP INDIE event (Day 1) and Trade Day (Day 2) of IBE? Can I attend both SHOP INDIE (Day 1) and Trade Day (Day 2)? When is the best day to attend as a Blogger? I am a wholesaler or distributor, can I attend as a Buyer? When is the best time to register or get tickets? Can I buy product at IBE? Both days of IBE showcase the exact same exhibiting brands, but the difference is in the focus of the day and the nature of speakers and panels. SHOP INDIE is open to the public and focuses on helping consumers directly experience and purchase from an amazing array of indie products, learn about indie beauty and have fun doing so. SHOP INDIE is a celebration and will have a festive/party atmosphere. 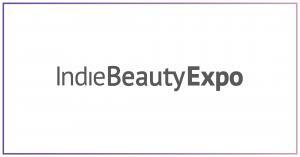 The Trade Day is only open to trade professionals and focuses on the business of indie beauty. Its primary purpose is to help professional Buyers find the right indie products to add to their retail collections. Its secondary purpose is to help beauty professionals (estheticians, stylists) learn how indie brands can help differentiate their services and better address their clients’ needs. Consumers (non-trade professionals) may only attend SHOP INDIE. Buyers and Press who are pre-approved can attend both days of IBE free of charge. Beauty/Wellness Professionals and Other Trade Professionals will need to purchase tickets to both days of IBE in order to attend both days. Unless specifically invited by IBE to attend both days, Bloggers should purchase a ticket and attend the SHOP INDIE event on Day 1. Unfortunately no. We define Buyers as retailers that stock a multi-brand inventory of beauty products and who are ready to place wholesale orders with our exhibitors. We love to see wholesalers and distributors at our show, and they can purchase tickets to attend the Trade Day as Other Trade Professionals. Now. Do not wait. We are expecting high attendance and there is a strong likelihood we may be in a sold-out situation. If you buy your tickets in the first month after they go on sale, you can take advantage of “Early Bird” pricing. By registering and buying your tickets before the show, you can speed up your check-in process during the show. Yes. If you intend to consume alcohol at the show, you will need proof of age. Yes. That is exactly what the SHOP INDIE event (Day 1) is all about. Exhibitors will be selling their product directly to consumers. Most of our exhibitors will be offering exclusive IBE only discounts on products purchased at the SHOP INDIE event. During the Trade Day (Day 2), retailers may place wholesale orders directly with exhibitors.